Variationist Sociolinguistics differs from Interactional Sociolinguistics as it focuses on social variation in dialects and examines how this variation is highly structured. This structured variation tells us that this is part of human language capacity, a built in system of language in a brain. How did variationist sociolinguistics develop? 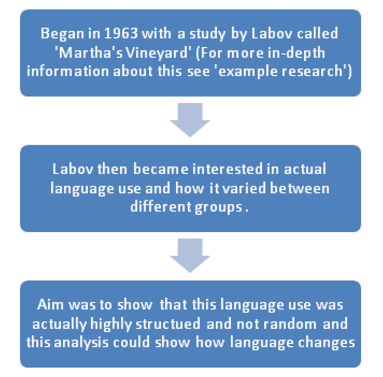 Labov tried to come up with ways of interviewing people without the issue of the observers paradox. He collected different styles of speech to overcome this by using techniques where people wouldn’t pay attention to their speech. This is known as unconscious speech. He also collected conscious speech so he could tell when people were paying attention to their speech. 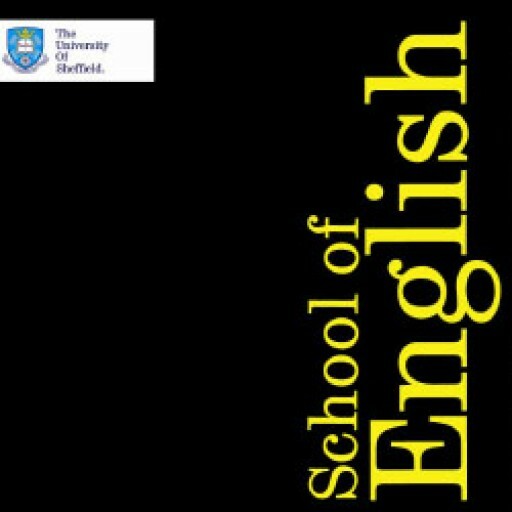 If this is too confusing for you and you would like a general and basic overview of sociolinguistics then visit What does Sociolinguistics study? Human language capacity: The idea that people are born with a built in capacity for language, and that people already know language but just need to learn the rules of language, and that people recognise whats right and wrong on how to use language. Un self-conscious speech: When people don’t pay attention to their speech through telling a narrative. 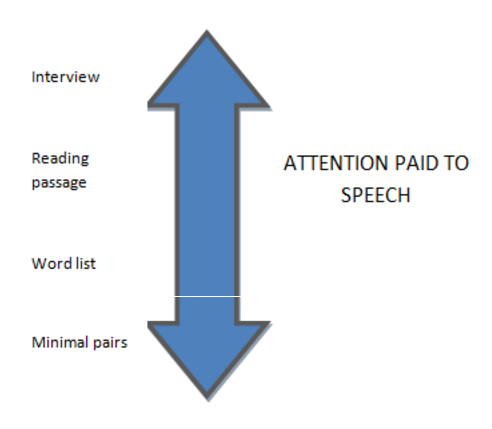 Very self-conscious speech: When people pay attention to their speech, such as when saying minimal pairs e.g. bat, pat. 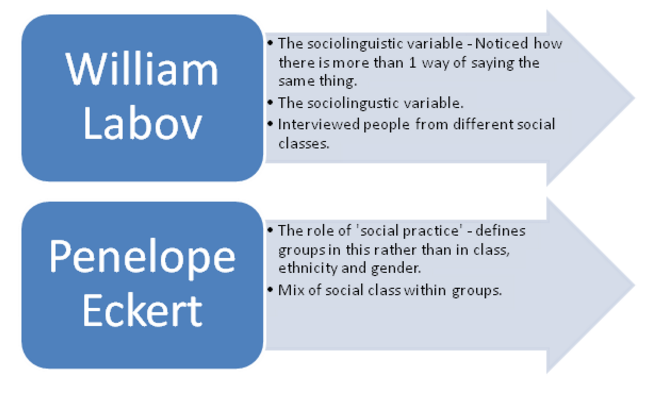 Eckert, P. (2000) Linguistic Variation as Social Practice: The Linguistic Construction of Identity in Belten High. Malden, MA: Blackwell.